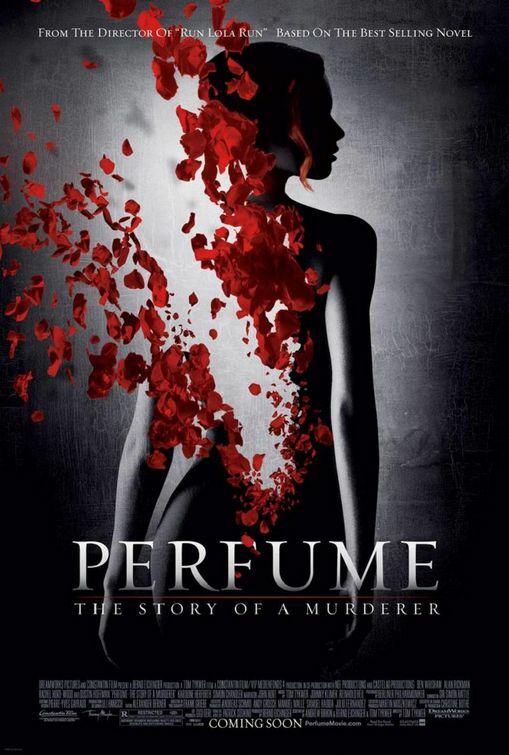 Patrick Süskind’s “unfilmable novel” Perfume: The Story of a Murderer has finally made it to the screens. The movie is based on his 1985 German bestseller of the same name. It is a story of murder and obsession set in 18th-century France. Jean-Baptiste Grenouille has a unique talent for discerning the scents and smells that swirl around him, which he uses to create the world’s finest perfumes. Strangely lacking any scent of his own, he becomes obsessed with capturing the irresistible but elusive aroma of young womanhood. As Grenouille’s obsession turns deadly, twelve young girls are found murdered. Panic breaks out as people rush to protect their daughters, while an unrepentant and unrelenting Grenouille still lacks the final ingredient to complete his quest. 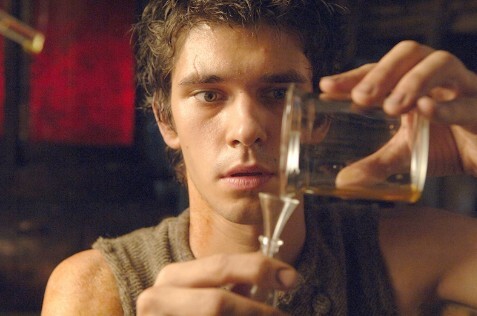 “Perfume” is a great movie and the main focus lies in the transient, invisible sense of smell. However, the main surprise is not the story plot but the arrival of the movie after 20 years the book has been published! Süskind never wanted his strange tale to be filmed, and if the decision had been left up to him, a screen version would never have been made. Within a year of its publication, Bernd Eichinger, who produced The Name of the Rose and later wrote the screenplay for Downfall, tried to get the rights, thinking that it would be easy, since he was a friend of Süskind’s. But the author said no to him, to Roman Polanski and to everybody else who asked the same question. “I’m done with that book,” he once remarked. What Süskind did next was even more surprising. Like J.D. Salinger, the author of Catcher in the Rye, he withdrew from public life: no interviews, no readings, no statements. He gave his last interview 20 years ago and has pulled a Garbo ever since. 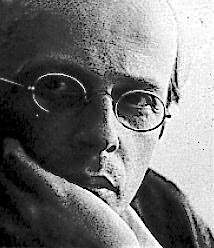 It is well known that Süskind has a son with his partner, a publisher and still lives in Munich. His shyness and fear of people even became the plot of comedy in 1997, written partly by himself and produced by Eichinger. In Rossinie, a boastful film producer (an alter ego of Eichinger) tries to convince a radical, reclusive author to hand over the film rights to his novel. “This is like a license to print money!” the producer urges, but to no avail. Why Süskind has finally relented after all these years for an adaptation of his most renowned book, is not clear. Eichinger, who has written the screenplay, says he kept asking and that in 2000 was told the “no” had finally turned into a “maybe”. Eichinger was then told exactly how much money it would cost for the wrights. Before that, there were rumours that Süskind had hoped that Stanley Kubrick would shoot the film but Kubrick died in 1999. When the film was finally, Süskind, as reclusive as ever, did make one thing clear – he was not willing to participate in the film in any way. 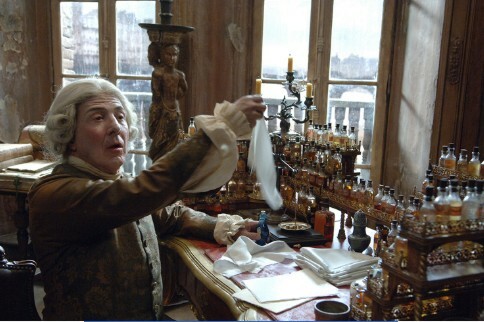 Plot Summary for Perfume: Jean-Baptiste Grenouille, born in the stench of eighteenth century Paris, develops a superior olfactory sense, which he uses to create the world’s finest perfumes. His work, however, takes a dark turn as he tries to preserve scents in the search for the ultimate perfume. Patrick Suskind is a German writer and screenwriter. He was born in Ambach am Starnberger See, near Munich in Germany. His and studied Medieval and Modern History at the University of Munich and in Aix-en-Provence from 1968-1974. In the 1980s he worked as a screenwriter, for “Kir Royal” and “Monaco Franze” among others. He is the author of the internationally acclaimed bestseller Perfume (1985) He is also the author of a play, The Double Bass (1980), The Pigeon (1988), The Story of Mr. Sommer (1991), Three Stories and a Reflection (1996). For a number of seasons, The Double Bass was a leading piece on German stages. Patrick Sükind’s first novel, Perfume (Das Parfum) tells the horrific story of Jean-Baptiste Grenouille, an orphan born in Paris in 1738. When Grenouille’s abandoned body is found in the garbage, he is taken to an orphanage, where everyone who comes into contact with him finds something about him to be repulsive. What they are unaware of is that Grenouille’s body does not have any aroma, a distinction which is so subtle that nobody can place their finger on it, but which colors Grenouille’s entire life. Grenouille’s strange relationship to odors is further highlighted by his own extremely sharp sense of smell, caused, perhaps, by the lack of necessity to sense past his own smell. When he comes of age, Grenouille manages to apprentice himself to a perfumer and shows a strong aptitude for mixing strange and exotic perfumes. This skill leads him to his desire to cover his own lack of smell and a quest to create the most unique perfume the world has ever known. By following Grenouille from his birth, when his mother abandoned him to death among the discarded fish guts through his childhood when he discovered how different he was to his apprenticeship, Sükind is able to evoke several different emotions from the reader, ranging from sympathy for the young orphan to curiosity to disgust and hatred. Grenouille’s lack of aroma can be seen as representative of his lack of morals in a world in which the amoral and the ethical were struggling to find a new common ground. Sükind does a remarkable job in portraying Paris of the eighteenth century, relying more on olfactory descriptions than is common in novels, which supports the rather odd conceit behind the narrative. He describes Grenouille and his actions with a detached demeanor, thereby heightening the horrific nature of Grenouille’s actions by not commenting on that nature. 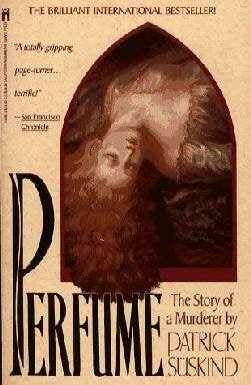 Perfume is a suspense novel. Although the reader knows that Grenouille is guilty, throughout the book the reader wonders whether and how Grenouille will be brought to justice. The novel is also an horror novel, although not of the slasher variety, nor of the Lovecraftian style. Instead, Perfume is a disturbing novel for the matter of fact way Sükind describes Grenouille’s actions and motivations. While it is clear that Grenouille is obsessed and insane, he performs within the confines of eighteenth century French society in a perfectly lucid manner. Sükind’s book is sui generis. Part horror, part mystery, part historical fiction, it offers insight into the mind of the criminally insane while speculating on the role the sense of smell plays in our lives. Perfume can’t be compared to anything written before it because its premise is so different in many ways than what has come before. While Sükind’s later books are relatively common (The Pigeon and Mister Summer’s Story), Perfume quite definitely remains his fictional masterpiece. This entry was posted on Tuesday, January 9th, 2007 at 9:58 am	and is filed under Movie Trailer. You can leave a response, or trackback from your own site. 2 Responses to "Perfume: The Story of a Murderer"
I find that purchasing perfumes online have saved me quite a lot of money over time, or at least instead of only one fragrance I have managed to purchase two. Some of the images on your site appear invalid. I think you should fix them.